As we all know, Langhorne Open Space loves farms! After all, the first thing we saved was Heritage Farm on Green Street in historic Langhorne Borough. It soon became a beloved landmark. Now, another nearby farm is at serious risk. Stone Meadows Farm is a familiar sight to anyone who travels on Route 413 between Langhorne Borough and Newtown Borough. Located within Middletown Township, it is across the road from Pennswood and George School. The buildings are set far back, so are not clearly visible from the road. But the parcel is of significant size, the last farm of this size in southern Bucks County, consisting of 166 acres of farmland, a creek and wetlands, two farmhouses, barns and several outbuildings. Unfortunately, it is under a conditional agreement with a developer than is promising to cover the farmlands with 150 houses and roadways that will funnel 1,000 car-trips per day to the already over-congested local roads. But that’s not the way of Langhorne Open Space Land Trust. In its past, it has, more than once taken on projects that have required more than seven years of determination, significant fundraising efforts, or once even gone to the Pennsylvania Supreme Court. In an important board meeting in March of 2016, LOSI’s Board of Directors took a brave step forward, becoming the first organization that we know of to commit itself to a 10-step Exploratory Strategic Plan for investigating the possible avenues to preserve Stone Meadows Farm. To our knowledge, we are also the first organization to set aside funds for this purpose. We have established a separate fund for those who wish to donate to the preservation of Stone Meadows Farm (several donations have already been received!). Other elements of the 10-Step plan include forming a coalition of other organizations and agencies supporting the cause; appointing committees to attend Middletown Township meetings of Supervisors, Planning Commission, and Zoning Board; and becoming a clearinghouse of information for area residents. If you are interested in helping with LOSI’s newest challenge, please send an email to information@langhorneopenspace.org or let a Board member know. Please make check payable to: LOSI, Stone Meadows Farm Project. 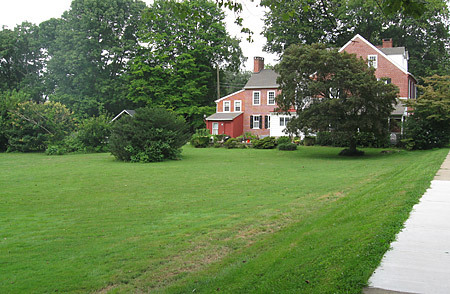 Since the summer of 2007, Langhorne Open Space has been working to save the open space surrounding this historic home at the corner of North Bellevue and Marshall Avenues. Interestingly, the original portion of the home is located at the rear of the current structure. 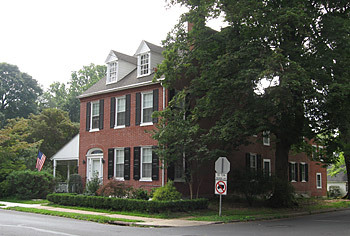 Sections have been added over the years, resulting in one of the more notable homes in the Borough. Throughout its history, the home has been surrounded by nearly two acres of open space. Many generations of neighborhood children have enjoyed playing in the expansive yard. Upon Mary Merrick’s death (the property’s long-time owner), builders were considering plans to develop the property. Knowing of Mary’s desire to preserve her expansive yard as open space, her heirs have been working with Langhorne Open Space to find ways to accomplish that goal. 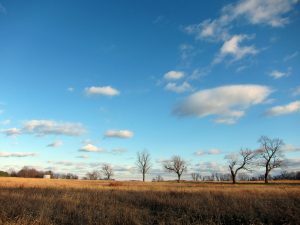 Langhorne Open Space is currently pursuing grants and raising funds to purchase the development rights to the open space — known locally as Merrick’s Meadow. Our goal is to preserve the beautiful viewscape enjoyed by the many walkers in Langhorne Borough. At the same time, the property would remain in private hands and continue to be on the tax rolls. Our longer term objective is to provide linkage with Catawissa Nature Preserve. If you wish to make a contribution toward our current preservation effort, please fill out our membership form.